Colorado Trails Ranch (CTR) is a full program dude ranch and family adventure vacation with horseback riding, fly-fishing, shooting sports, children’s program, rafting, hiking, swimming, evening programs, delicious, home-cooked meals, cozy cabins and the friendliest staff around. 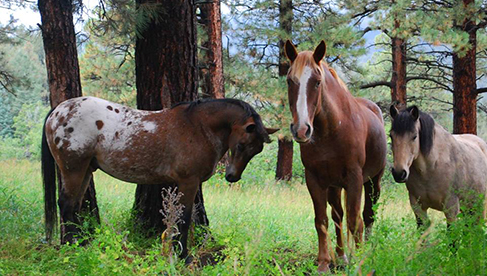 Located 12 miles northeast of the historic mining town of Durango, Colorado Trails Ranch is a 450 acre dude ranch in a beautiful mountain valley adjacent to the two-million acre San Juan National Forest–– leaving plenty of room to horse ride and enjoy the great outdoors. 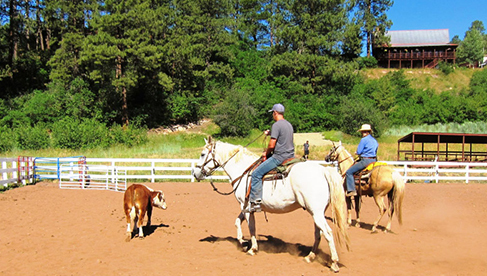 The dude ranch staff is used to introducing beginners to horseback riding. Around 80% of the guests that visit at this Colorado dude ranch have never been on a horse. With the guidance of experienced wranglers and the right mount for your personality, you, your kids and friends will quickly learn the basics of horse riding and be comfortable exploring beautiful Colorado trails on horseback. Colorado Trails Ranch offers morning, afternoon, lunch rides, and an all day ride with no more than six guests to a wrangler. Horse rides are grouped by ability and range from scenic walk rides to faster riding through forests and meadows. Experienced riders mount high quality ranch horses to trail ride on diverse, well-kept trails around the area. Colorado Trails Ranch has easy trails for beginners, and more challenging trails for guests with advanced riding skills. The ranch's children's program divides kids aged 5 through 17 into three groups. 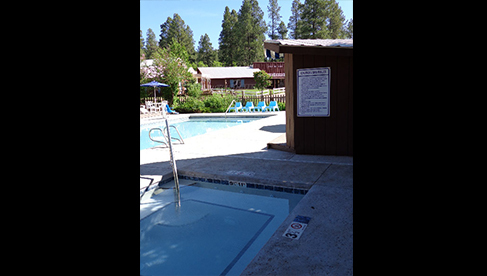 There's special horseback riding lessons and instruction, power tubing at nearby, beautiful Vallecito Lake. 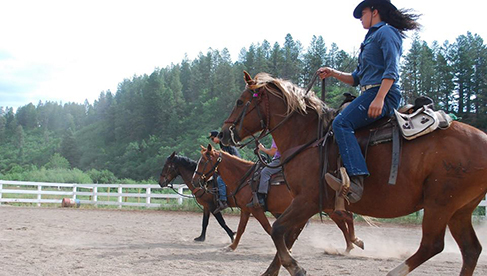 One very special horseback riding vacation event at this Durango Dude Ranch is Horseman’s Week, held in late August. Guests for this all adults week come from around the world to take advantage of the advanced lessons and equestrian training from experienced horse wranglers. 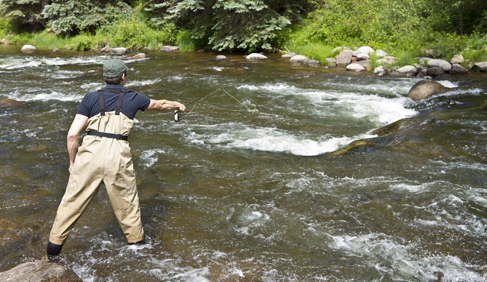 For those who want a fishing dude ranch vacation, Colorado Trails Ranch has over two miles of private water on the Florida River and access to cold mountain streams and other rivers in the area, as well as fully stocked private ranch ponds. On an all inclusive dude ranch vacation, you’ll have access to the guides and equipment you need during your stay. 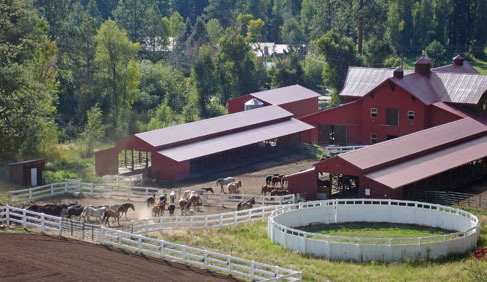 This Colorado guest ranch has been operating since 1960, when it was newly built. Jeanne Ross, the General Manager, has been at Colorado Trails Ranch since 1966. This is a very special week for horseback riding vacations at Colorado Trails Ranch for adults only. This time is set aside to offer personalized riding instruction for all skill levels. Whether you’re a beginner who has never ridden before, or have your own horses and want to improve your riding or horsemanship skills - this is the week for you to visit our dude ranch. Discounted rates apply to this week! Not only will you be taking advantage of excellent personal riding instruction, but also enjoying 20% off of our current regular rates. If you have any questions, please contact us. We’d be happy to address all of your questions or concerns. Learn more about Horseman's Week. Make sure to mention Equitrekking when you call Toll Free USA: 877.711.7843 or (970) 247-5055 or Email Colorado Trails. Ranch guests at this Durango Dude Ranch stay in cozy cabins, each room with a private bath and its own porch, plus daily maid service. 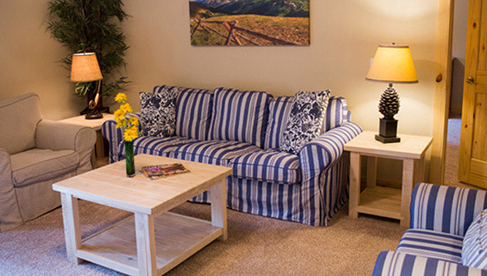 CTR's cabins will easily accommodate families, couples, and singles with a variety of options available. 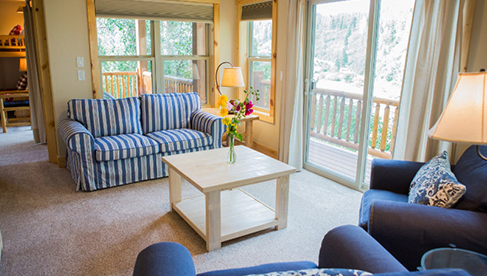 Since 2013, Colorado Trails has been replacing the cabins with new, more roomier cabins that all have living rooms and great covered porches. By the end of 2016 all cabins except for Longview will have been replaced. The new Bird House cabin at Colorado Trails guest ranch has two bedrooms and a central living room with porches that provide beautiful views and are a great place to relax in the morning with a cup of coffee or in the evening with a glass of wine. To top it all off, this new cabin is fully wheelchair accessible, making it easy for everyone to enjoy Colorado Trails’ all inclusive family vacations. 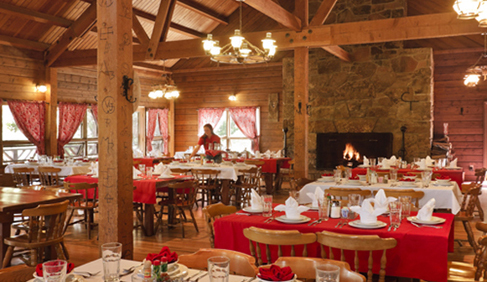 Colorado Trails Ranch offers three home cooked meals per day with delicious healthy and indulgent options. This Colorado dude ranch is located near the Mesa Verde National Park as well as the Durango/Silverton Narrow Gauge Train. Colorado Trails Ranch is not far from the Four Corners. 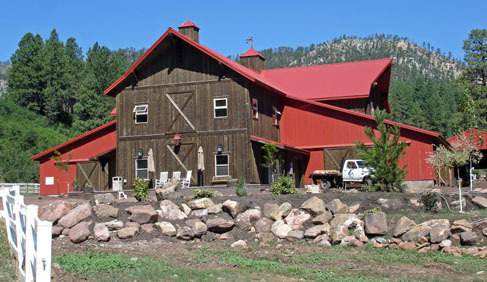 Colorado Trails Ranch is popular for family ranch vacations, single travelers, couples, and family reunions and business retreats. 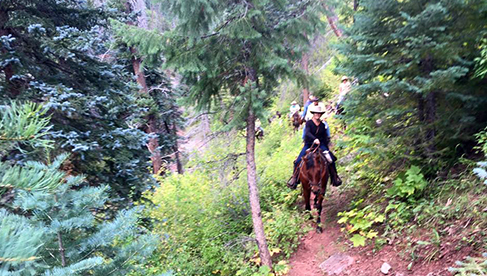 Colorado Trails Ranch is an all inclusive family vacation adventure in the San Juan Mountains. 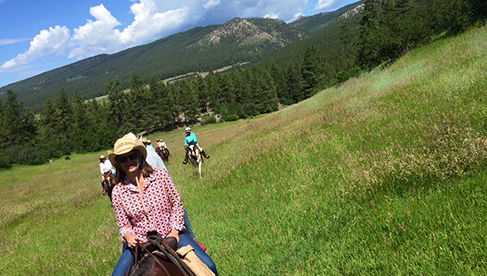 A fun filled Colorado dude ranch experience creates new friends, family togetherness and memories. Rates start at $2,750 per adult for the week and include all meals, accommodations, virtually all the activities and the gratuity. A 15% discount applies to the week of June 5th and 12th, a 10% discount applies to the week of August 14th and a 20% discount is from August 28th to September 18th. These discount apply to full week stays only.